As a speaker, author, and hypnotist, Jason has put in more than fifteen years of professional study and on-the-job experience tracking how top performers in many industries achieve astounding results. In his informative and interactive keynote presentations, he shows people in business how top performers achieve the unthinkable… and how YOU can put the same scientific principles to work in your business and personal life. 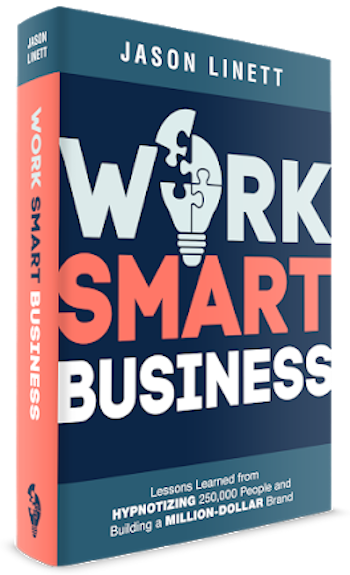 In his book, Work Smart Business: Lessons Learned from Hypnotizing 250,000 People and Building a Million-Dollar Brand, Jason shares tested principles and proven strategies to turn your business ideas into a successful reality.